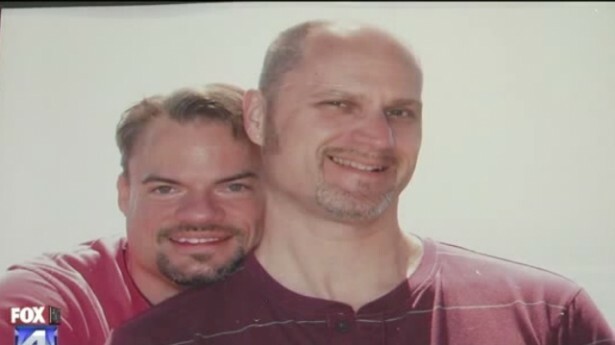 A gay man was arrested at a hospital in Missouri this week when he refused to leave the bedside of his partner, and now a restraining order is preventing him from any type of visitation. Roger Gorley told WDAF that even though he has power of attorney to handle his partner’s affairs, a family member asked him to leave when he visited Research Medical Center in Kansas City on Tuesday. Gorley said he refused to leave his partner Allen’s bedside, and that’s when security put him in handcuffs and escorted him from the building. “I was not recognized as being the husband, I wasn’t recognized as being the partner,” Gorley explained. He said the nurse refused to confirm that the couple shared power of attorney and made medical decision for each other. “She didn’t even bother to look it up, to check in to it,” the Lee’s Summit resident recalled. In a 2010 memorandum, President Barack Obama ordered hospitals that receive Medicare or Medicaid funding to allow visitation rights for gay and lesbian partners. For its part, Research Medical Center insisted that it does not discriminate based on sexual orientation. Gorley cannot currently visit his partner at all due to a restraining order issued after his arrest on Tuesday.